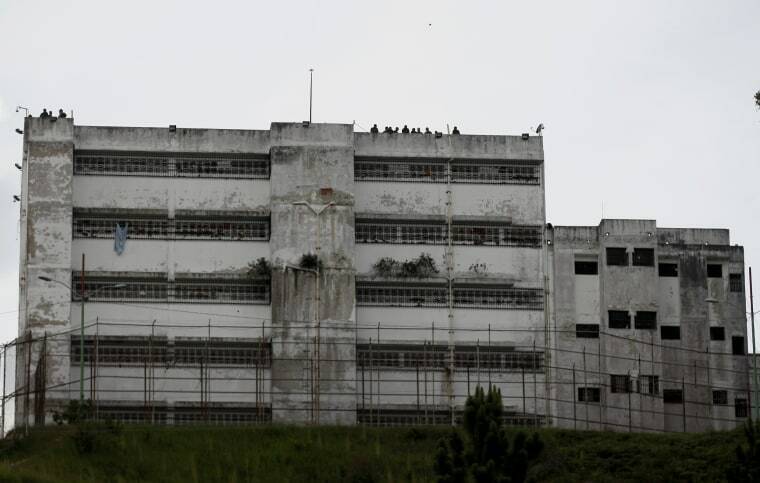 CARACAS, Venezuela — The International Committee of the Red Cross has regained access to prisons in Venezuela, including highly guarded military facilities where dozens of inmates considered political prisoners are being held, as President Nicolas Maduro seeks to counter mounting criticism of his government’s human rights record. International Red Cross President Peter Maurer on Wednesday wraps up a five-day visit to Venezuela, where the Geneva-based group is among international organizations trying to carve out a space to deliver badly needed humanitarian aid and technical assistance free of the winner-take-all politics contributing to the country’s turmoil. Venezuelan-Americans welcome Trump's tough talk. Republicans hope that will mean votes. Sandra Hernandez, whose husband, Sgt. Luis Figueroa, has been jailed at Ramo Verde since January for leading a military uprising against Maduro, was present last week when a white-colored vehicle emblazoned with the international Red Cross’ logo pulled up to the prison entrance. A senior government official played down the significance of the Red Cross visits, describing them as part of a broader push to work more closely with several international agencies, including the World Food Program and the Pan American Health Organization. The official spoke on condition of anonymity due to lack of authorization to discuss those talks publicly.